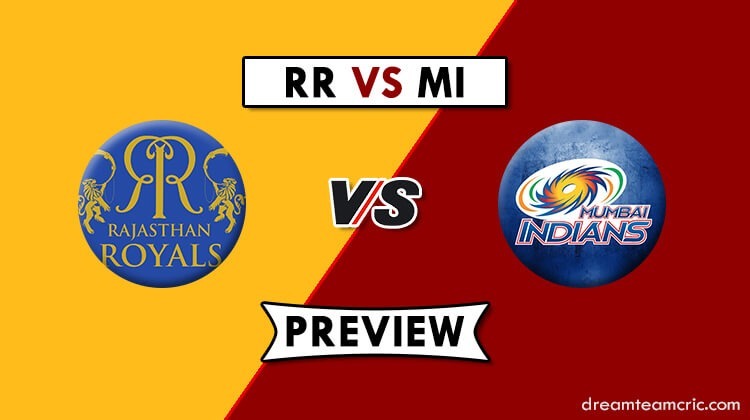 A confident Mumbai Indians unit will lock horns against a depleted Rajasthan Royals in the 27th match of the competition which will be a day game at the Wankhede in Mumbai. Rajasthan Royals are having a terrible run this season as they have failed to get going. With only one win from six games, Rajasthan Royals find themselves at the second last position on the points table with as many as 8 games to go before the playoffs. 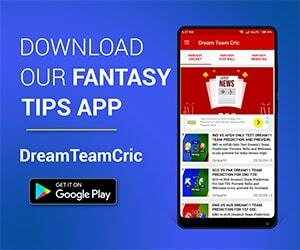 Their only win came against Royal Challengers Bangalore by 7 wickets who are languishing at the bottom in the points table. Meanwhile, Mumbai Indians have placed themselves at the third position after winning their last encounter against Kings XI Punjab on the last ball of the match by 3 wickets. With momentum by their side, Mumbai Indians will look to induce even more pain on the already wounded Rajasthan Royals. This would be the 22nd meeting between these two teams across IPL and CL T20. The three-time champions Mumbai Indians have had the better of their opponents by 11 games to 9. While one encounter between these two sides was abandoned. Their last meeting took place at the Wankhede Stadium in Mumbai in the last edition where Rahane’s RR tamed Rohit’s MI by 7 wickets. The Wankhede surface generally offers assistance to the batsmen provided that the boundaries are short to muster ball all around the park. Seamers sometimes might get help from the wicket, but this being a day game the surface will remain dry which will help the batsmen. Rohit Sharma might miss this game as well due to a hamstring injury which forced him to remain on the sidelines in the last game against KXIP. Rajasthan Royals might undergo for some more changes in their eleven after continuous poor shows. 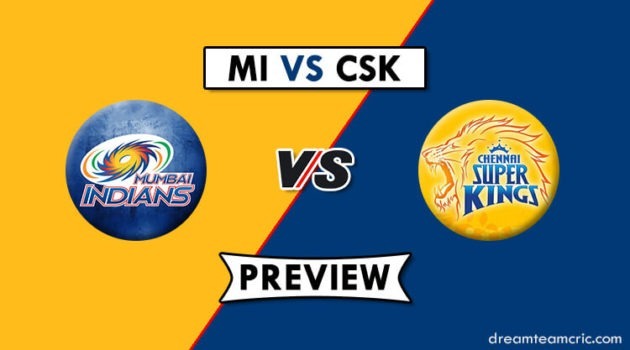 Mumbai Indians: Rohit Sharma (c), Suryakumar Yadav, Quinton de Kock, Mayank Markande, Jasprit Bumrah, Pankaj Jaiswal, Hardik Pandya, Ishan Kishan, Mitchell McClenaghan, Ben Cutting, Kieron Pollard, Jason Behrendorff, Anmolpreet Singh, Barinder Sran, Anukul Roy, Rasikh Salam, Siddhesh Lad, Alzarri Joseph, Krunal Pandya, Rahul Chahar, Yuvraj Singh, Aditya Tare, Jayant Yadav, Evin Lewis. Rajasthan Royals: Ajinkya Rahane (c), Mahipal Lomror, Jaydev Unadkat, Stuart Binny, Jofra Archer, Riyan Parag, Shubham Ranjane, Steven Smith, Ben Stokes, Jos Buttler, Aryaman Birla, Shreyas Gopal, Shashank Singh, Rahul Tripathi, Oshane Thomas, Varun Aaron, Sanju Samson, Liam Livingstone, Manan Vohra, Ashton Turner, Prashant Chopra, Ish Sodhi, Krishnappa Gowtham, Sudhesan Midhun, Dhawal Kulkarni. Mumbai Indians: Jason Behrendorff, Siddesh Lad, Alzarri Joseph, Krunal Pandya, Suryakumar Yadav, Hardik Pandya, Kieron Pollard, Rahul Chahar, Quinton de Kock, Ishan Kishan/Yuvraj Singh, Jasprit Bumrah. Rajasthan Royals: Steve Smith/Ashton Turner, Jos Buttler, Ben Stokes, Jaydev Unadkat, Ajinkya Rahane, Jofra Archer, Dhawal Kulkarni, Sanju Samson, Rahul Tripathi, Shreyas Gopal, Riyan Parag. Playing at home, MI are a side to be reckoned with. They have a good win percentage at home. Therefore, here is a team which will focus mainly on the star performers of Mumbai Indians. The pitch at the Wankhede is expected to suit the batsmen, therefore, here is a team which will primarily focus on the batting strength of both sides.